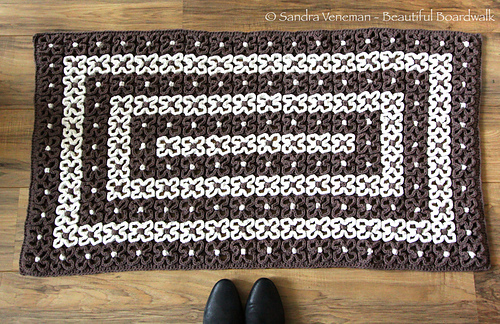 This pattern is Crazy-Good for making it your own! With instructions to adjust the pattern to any size you want, select colors that suit your style or decor and bust that yarn stash! Makes a delightful play mat or blanket for baby, rug for the bathroom or kitchen, pillow cover or coverlet for the bedroom, or runner for the hallway! There are endless possibilities! Finished items may be sold, I just ask that you give credit to me, Susan Carlson at FeltedButton.com.